The Foundation is no longer active. This website has been left up for informational purposes. For the latest information or for questions, contact the City of Chico. 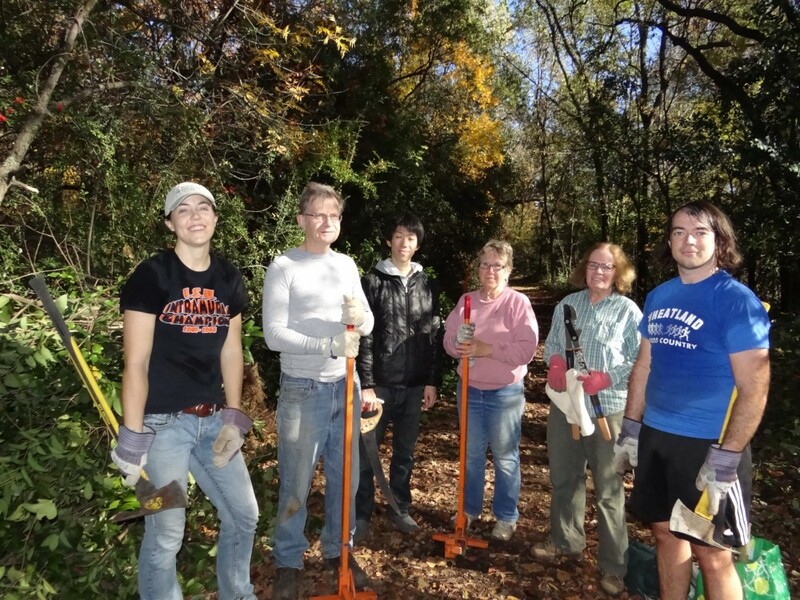 Volunteers remove invasive privet trees on Nov. 25, 2012. Left to right: Sara Kaiser, John Meehan, Masayuki Iwasaki, Liz Stewart, leader Susan Mason, and Michael Bruhn. Find out more about these impressive restoration efforts here. Teichert Ponds is a city of Chico owned wetland, an oasis for wildlife in the midst of the City’s urban development. The 30-acre site supports a dense riparian overstory of cottonwoods, valley oaks and willow. Much of the site’s lush understory is invasive exotic species, such as pyracantha and blackberry. But these also provide habitat for a variety of wildlife, especially berry eating birds such as cedar waxwings. Resident Canada geese and wood ducks can be seen on the ponds, along with other migratory waterfowl, while songbirds and raptors,such as red shouldered hawks,enjoy the riparian vegetation bordering Little Chico Creek. 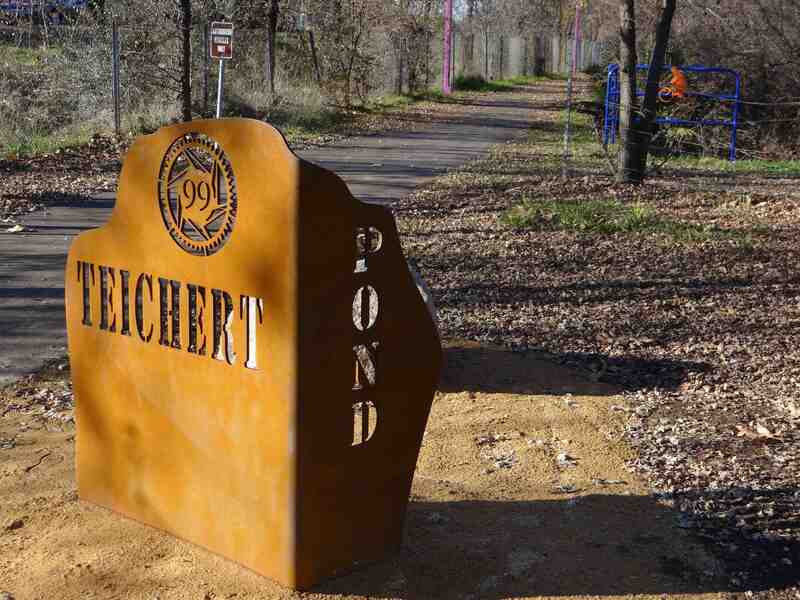 In 2010 a group of interested pond stakeholders, including neighborhood members, environmentalists, educators, and city planners, formed a support group called the Teichert Ponds Restoration Foundation to promote the ponds as an educational preserve and passive recreational park.